To coincide with the release of my new book Gluten Free Throughout the Year, I am hitting the book tour trail, spreading the word in a number of different ways. It all starts Wednesday, May 12th, at www.Celiac.com with my first author interview about the book. I am very pleased to have a leading site in the gluten-free movement and industry, www.Celiac.com as the first “stop” on my Virtual Book Tour. (In case you were wondering, a Virtual Book Tour is a tour in which an author visits websites and blogs instead of traveling across the country to bookstores.) Be sure to “travel” along with me by going to this link, so you can read the interview and learn a lot more about the book, why I wrote it, and how the format of the book came to be. 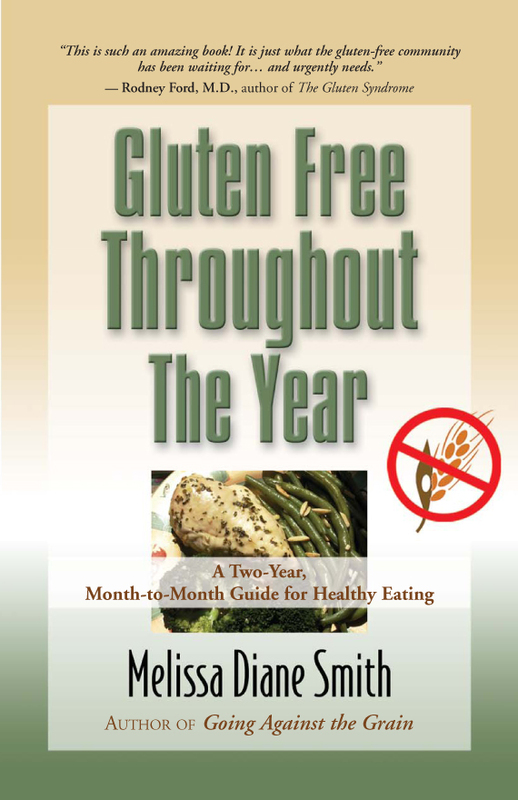 I am very pleased to announce the release of my new book, Gluten Free Throughout the Year: A Two-Year, Month-to-Month Guide for Healthy Eating. I wrote the book as a companion guide to Going Against the Grain for the many people who asked for it. The primary focus is to help people on a gluten-free diet, but it’s also useful for people who want to lose weight or who follow a reduced-carbohydrate diet. Below is a summary of the information in the book followed by quick answers to several questions I am asked most often about the book by my clients and readers. Does Eating Gluten Free Give Athletes a Winning Edge? If you think eating gluten free is only therapeutic for people who have health problems and experience uncomfortable symptoms, get ready for a surprise: It just might be a little-used nutritional strategy for giving athletes a winning edge. The cover story in the March issue of Men’s Journal, “Winning Without Wheat,” described how members of a pro cycling team switched to a diet free of gluten (found in wheat, rye and barley) and were pleasantly surprised with the results. They experienced better digestion, improved sleep, speedier recovery, and substantially improved athletic performance.